Hearing the Penguins' hit "Earth Angel" or Frankie Lymon and the Teenagers' classic "Why Do Fools Fall in Love" won't likely awaken any sort of punk-rock spirit that hibernates in your soul. 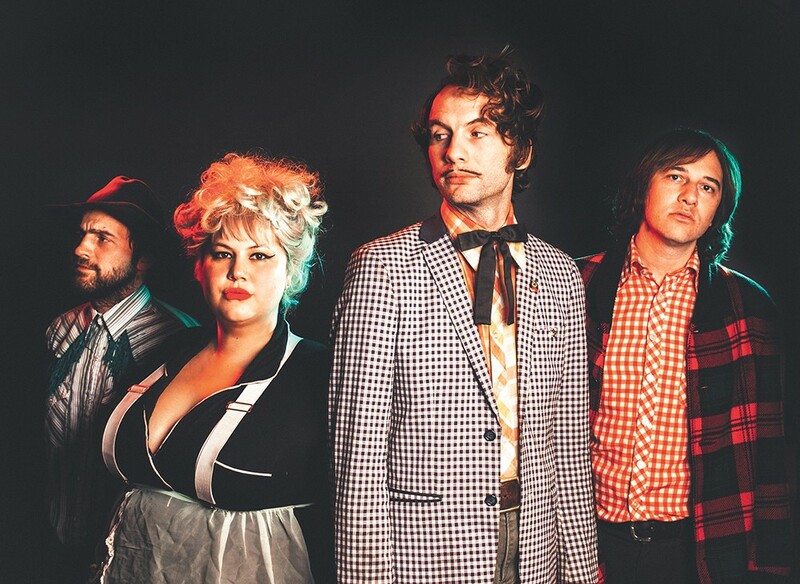 Yet there is an unspoken phenomenon that surrounds Oakland's Shannon and the Clams that has struck a chord with punks, hipsters, beatniks and weirdos. For more than a decade, the seemingly always-touring combo has revamped and redefined the genre of doo-wop: Think of something along the lines of soul singer Carla Thomas, with the Fabulous Wailers serving as a backing band. A year after releasing Onion, the group's fifth full-length album on Dan Auerbach's Easy Eye Sound label, the Clams are performing four North American dates in January before heading to Australia. To prepare yourself for Friday's show at the Observatory, here are five essential songs from the band's ever-growing catalog. Bassist and vocalist Shannon Shaw's lyrics never fail to gush emotionally raw and honest stories and depictions. "Did You Love Me," a warm ballad right out of a 1960 high school dance, finds Shaw pleading for clarity in the aftermath of a breakup: "But I had lied, I'm made of glass / Brittle and cracked / Not many do last." Guitarist and co-vocalist Cody Blanchard taps into a Gypsy-like motif with jangly, Eastern-sounding string work on "The Bog." Backed by a chattering high-hat and traditional, thumping bass line, both Shaw and Blanchard share chilling harmonies that provide imagery of witches dancing in fog and "ape men" crawling up from mud. If you've ever lost a pet, particularly a dog, "Ozma" may very well jerk plenty of tears from your eyes. The beautiful tribute to Shaw's late dog Ozma imagines the pup "sniffing flowers all day long and laying in the sun." The lyrics reveal the constant battle Shaw has with herself — happy for Ozma's eternal happiness yet devastated by the dog's absence. "Mama" showcases the Clams' knack for enriching a traditional pop structure. A jazzy, stop-and-go beat loosely contains the emotion during the verses before Shaw blasts out a hearty chorus. Additionally, Shaw's soulful vocals get a touch of fuzz bringing a stark contrast to the clean, reverb-happy guitar. The original print version of this article was headlined "At the Hop"